I find it difficult to function when there’s too much going on inside my head. I need a fair amount of time to put things into perspective, whether it’s an exhibition I have seen or people I have met or even articles or books that I have read. These engagements lose their charm when I have to switch off and tend to mundane issues or push all the connections I am making with myself, through these interactions, to put my mind elsewhere. Some may see it as not being disciplined and often I wonder if indeed I do not have enough self discipline and am indulging myself too much by delving deep into things that do not necessarily have an apparent function in the everydayness of living. This week was an intense one. I enjoyed every bit of what I did. Some exhibitions that I saw were thought provoking and the ideas were reiterated by things in the world around me. One artist had made a video of birds flying, talking about the logic of birds. The concept was evocative because I have a lot of pigeons living around me and ever since I saw that video, every time I see them make those formations in the air, I begin musing. This adds to my tension because there are articles and reviews to write, emails to respond to; the plumber had promised to come but hadn’t and on top of everything else, my internet and phone line was down. Could I really afford to sit idly contemplating pigeons in flight? Be present, I keep reminding myself, deal with things as they come up. I know that when I do so, life is easier to handle and complex things fall into place effortlessly, but I still falter. I enjoy being deep and intense as much as it irks me because everything seems to take an age to put into perspective and ideas keep coming up, often when least expected. There is always so much to do that 24 hours are just not enough. The older I get, the more I want to do and explore in life; I feel restless, thinking, will I ever get it all done? This morning, I decided I wanted a different flavour of tea. 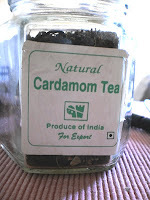 Earl Grey or masala chai made by Mahipal or Puja didn’t appeal, so I decided to make some cardamom tea. Not the pakki hui chai[i] they brew on the stove, in the kitchen. No, I opted for the elaborate process of mixing the tea and spices in the tea pot itself, for a more delicate flavour and fragrance. 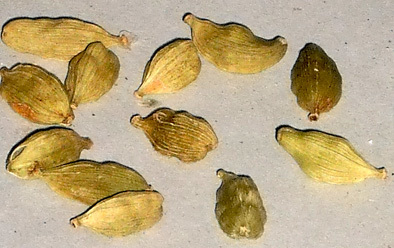 Mittals in Sundar Nagar have a ready-made pack of cardamom tea, which is part of their ‘natural range’ and it’s already got the cardamom seeds mixed in with Darjeeling tea leaves. I find Darjeeling a rather tricky brew. If you leave the tea leaves a tad too long it becomes karva[ii]. I like a good colour but the lighter brew, so I add some loose leaf tea. For each cup of tea I plan on drinking I grind three to four hari elaichi[iii] along with their skin and let it sit in hot water for a couple of minutes and then add the ready-mixed cardamom tea with a pinch of loose leaf tea. It’s a delicate and involved process. I have to keep a close eye on the colour, adding more of the loose leaf if need be. I taste the brew till I get it right: neither sweet nor bitter. 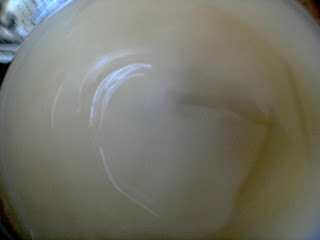 I then strain the tea into a thermos to keep it warm, which I then sip leisurely, most often as I write. I like a white cup to drink my tea in. It shows off the colour of the tea to its best. Today, the tea has a lovely orange tinge, veering somewhere between a mild russet to auburn, softened by the whiteness of milk. It’s a warm, mid-tone, delicate in hue and on the tongue. But, while brewing, it tested my nerves, especially when I stirred it well to ensure the leaves were infusing all their flavour in good time [so as not to let the tea get bitter]. It was so muddy that I never thought I would get this delicate flavour. It looked completely undrinkable, almost as bad as dirty dish-water. And when I added the milk, it looked like a complete disaster. I hadn’t done this ritual in a while, so felt as though I had lost the knack of getting it right. But then I let it settle a bit, and as the dull green leaves, fully opened, and settled at the bottom of the glass pot, I felt reassured. All was well; I had not brewed it too long or added too many tea leaves. In those tense moments - yes, getting the tea right does create some measure of tension; I was reminded of the way thoughts brew in my mind. When it gets crowded, as this week had been and everything gets stirred by added stimulus of going places, meeting people or surfing the internet. When I have to deal with all manner of things from household repairs to a neighbours brush with the condominium management, pay bills, contentious dialogues with the servants and so much more, the blah, blah in my head screams overload! My body goes into a sort of paralytic mode, refusing to get up in the morning and then moves as if it is a leaden log. It certainly feels like something nasty is brewing inside. But, as I do yoga, write in my journal, meditate and do some healing and affirmations, let it all settle, the different feelings and thoughts find their own space, and the previous day and its events and engagements are gradually put into perspective. 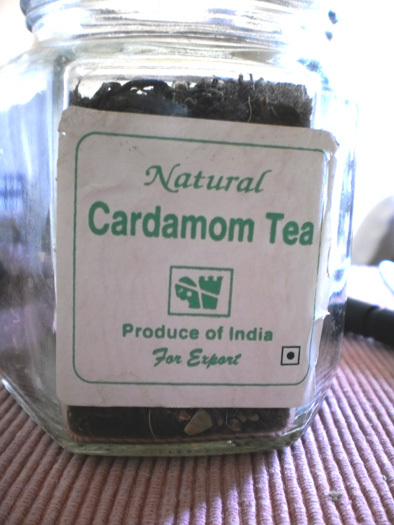 In a sense, I do what I did when making the cardamom tea: keep looking at the brewing thoughts, feeling my way through the information that has built-up quite sub-consciously, to ascertain, through the maze of ideas, what it is that I am really thinking. This sometimes takes the better part of the day and requires a great deal of discipline to see through but it feels good once I have done it. I find that it’s all right, life’s good! The brew has a perfect flavour and colour. Everything is exactly as it’s supposed to be. All is well in my world. I haven’t got lost in the maze of ideas. 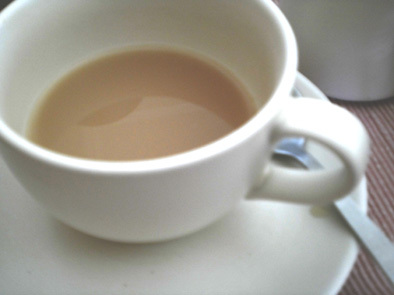 There really is no conundrum, its completely clear, well a little diffused because I like milk in my tea, but the crisis that seemed to loom in my head is under control. It is uncanny how making this particular tea this morning, needing to focus, because I had not made it in a while, ensured I was fully present to its process. In that mental silence, distracted from the weeks cacophony of events, the correlation I made between the process of brewing tea and thoughts mulling in my mind reassured and reminded me to have faith in the elaborate ritual of introspection that I had cultivated. 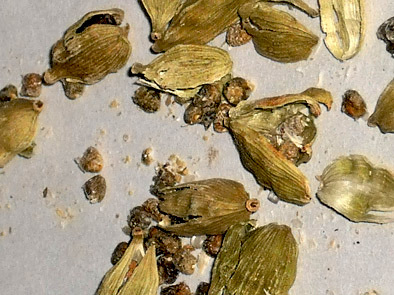 For no matter how intense it gets, or how hellish the brewing in one’s head can seem, it really is not that dissimilar to making a cup of flavourful, cardamom tea. As for me a simple process will do. Take a clean kettle and boil some water in it, preferably filtered normal water and not bottled water. Once the water boils, place a spoonful of darjeeling tea in a tea pot and let the leaves soak for 3 mins in a cup and a quarter full of water. Relax. Go brush my teeth and pour out my tea in a white cup. No sugar please for me, it distorts the taste of good tea. A spoonful of milk is good enough. Sit back and sip my tea till all is over except the taste of pure darjeeling tea. And that is the beginning of the meditation when I can focus my mind on taste and not smell. In any case, the clutter in the mind will return as soon as the taste is forgotten. Maybe it is time for another cuppa. Alas! It is never as good as the first, have you noticed, by the way? Julia in a storm in a tea cup! Moved me to tears - the honesty, the delicacy, the depth.